Apinun Tunpan is a researcher turned entrepreneur who currently serves as Chief Technology Officer and Founder of the SMART Sense Industrial Design Co.,Ltd. (SMART-Sense) based in Bangkok, Thailand. 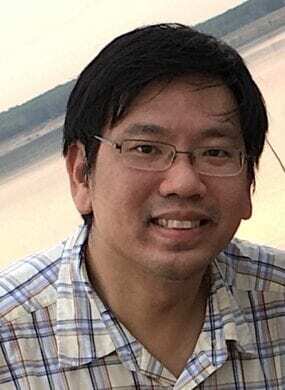 He also serves as Research Consultant for the Internet Education and Research Laboratory (intERLab) at the Asian Institute of Technology (AIT), located in Pathumthani province, Thailand. In December 2015, Apinun founded the SMART Sense Industrial Design Co.,Ltd. with a business partner and a seed investor from the Thai Industrial Sector. SMART-Sense currently is a Technology Startup company, endorsed by the Thailand Board of Investment (BOI) in the “high value added software” category, focusing on the design and realization of the Internet of Things (IoT) software and solutions for the Industrial Sectors. SMART-Sense now has a number of referenced large corporate customers and is expected to expand its IoT solution business rapidly in the coming years. In this 2017 “SMART Rural Schools” initiative, Apinun’s company, SMART-Sense, has teamed up with intERLab in a joint ICT and IoT for development (ICT/IoT4D) mission to bring IoT and WSN technologies into the hands of rural communities. We seek Venture Philanthropist’s support to bridge the Digital Divide gap between rural and urban communities. We plan to directly transfer technological knowledge to interested and contracted high-school rural students first in a small number of selected rural schools, and then to the rural communities around those students. Armed with our unique combination of CWMN and Industrial IoT expertise, we will devise proper IoT tools and do-by examples to teach participating rural students as well as to allow them to develop rural IoT business within their rural communities. We will then subsequently scale our efforts to other rural regions. We will acknowledge our Venture Philanthropist (VP) on our rural community IoT solutions as well as can do revenue sharing or co-ownership with our VP. Apinun Tunpan earned his Ph.D. and M.S. degrees in Computer Science from the University of Maryland College Park, USA, respectively in 2002 and 1997. He earned his B.Eng. in Computer Engineering from Chulalongkorn University, Bangkok, in 1993.